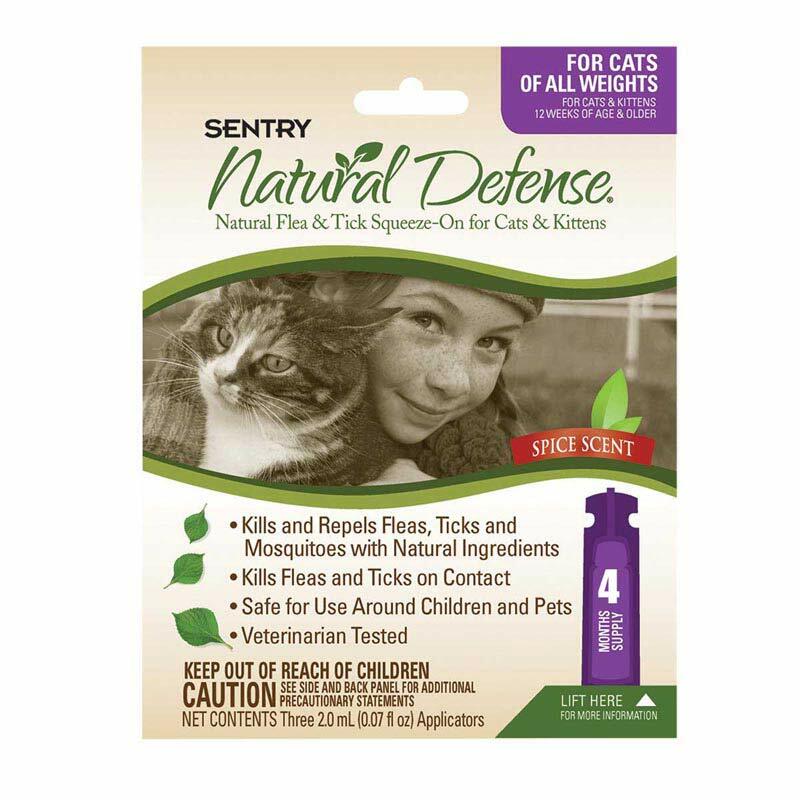 Natural Defense Squeeze-On kills and repels fleas, ticks, and mosquitoes with natural ingredients. It is effective for up to 4 weeks but is safe enough to be applied every two weeks. Safe for use around pets and children. Formulated with active natural ingredients including peppermint oil cinnamon leaf oil, lemongrass oil, eugenol, thyme oil, and 2-Phenethyl Propionate. Squeeze-On for cats and kittens.